Summer 2007 on the Ross Revenge. 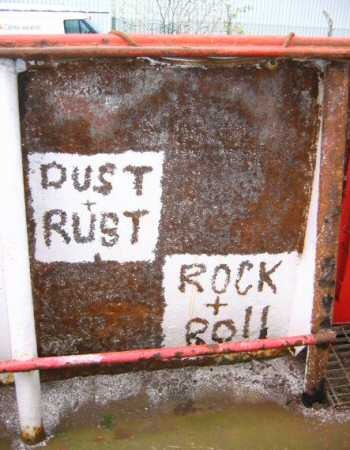 During the winter of 2006/2007 much work took place on the interior of the ship. Nine of the ten below decks crews cabins have now been refurbished, work continues apace on converting the old "dog kennel" (aka. junk store) into a new merchandising shop, a "new" dishwasher has been acquired for the galley, and the day to day repairs have been tackled. 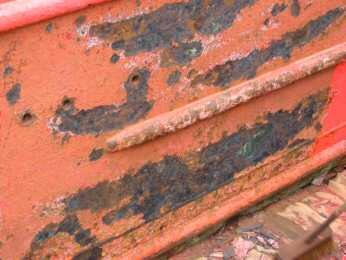 Throughout spring, summer and autumn work has continued on the exterior of the hull. 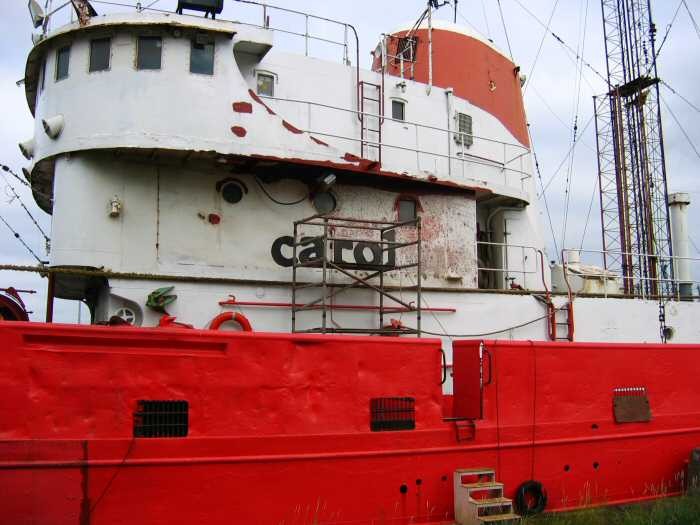 The Portside hull had been exetensively chipped in 2005, and repainted at that time. 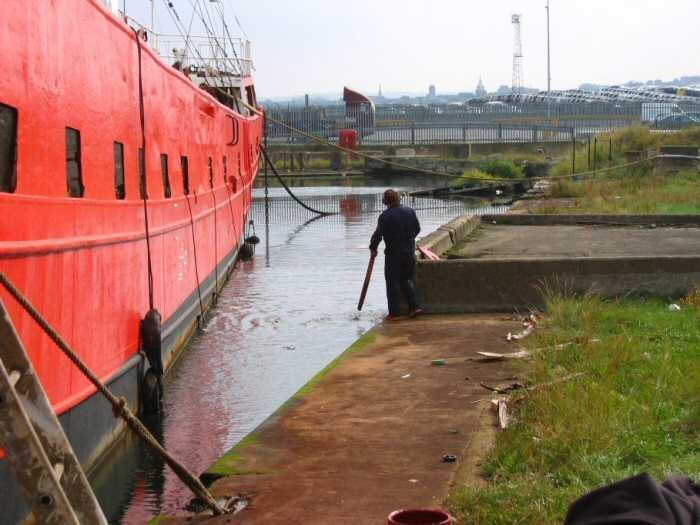 However, in Berth 12 we were unable to chip any lower than about 1 metre above the water line due to the height of the quayside. 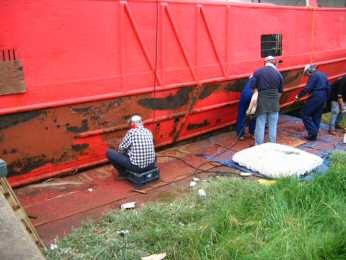 In the barge dock we were able to chip the rust right down to the waterline, and then repaint the entire side of the hull in bright red gloss. 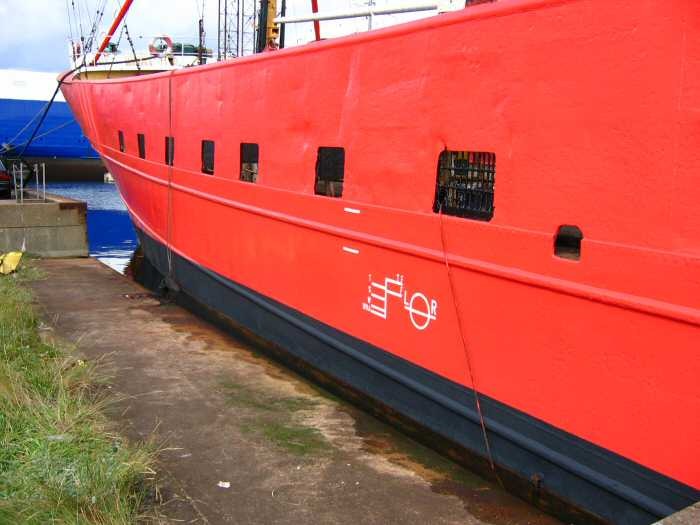 We also painted on the lower black stripe, though unfortunately we do not have the special anti-fouling marine grade paint to do this with. 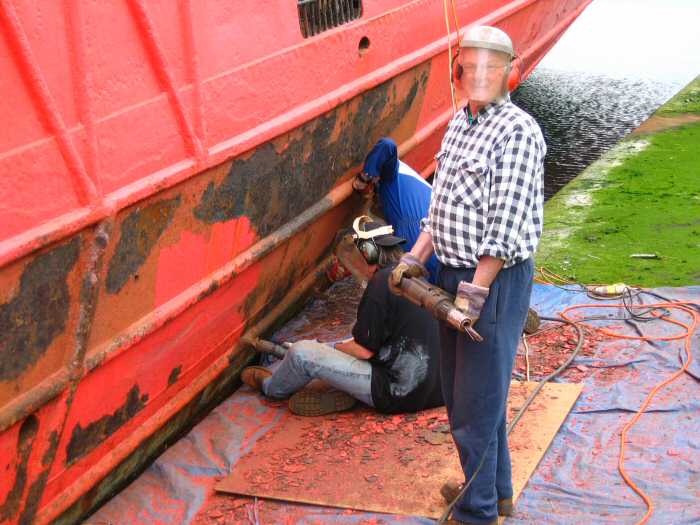 The crew hard at work chipping the paint and rust from the lower section of the hull. Note the roughly semi-circular arcs that are worn into the metal. These are from the tyres and chains which were hung over the side to act as fenders during most of the 1980's. Tommy, showing off his needle gun whilst dressed to tackle the layers and rust and paint which go flying in all directions with John and Graham in the background. After a good weekends session chipping paint and rust, you can spend the entire following week shaking it out of your shoes, out of your hair and everywhere else it manages to get! 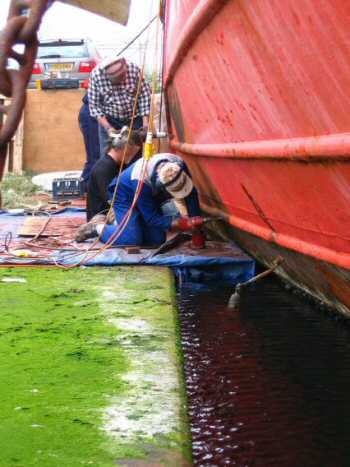 From above and alongside - the crew get right down to the waterline. As the summer progressed, with the side and stern looking good we made our way towards the bows. In order to bring the curved bows inwards to work on, we need to swing the stern out into the dock. 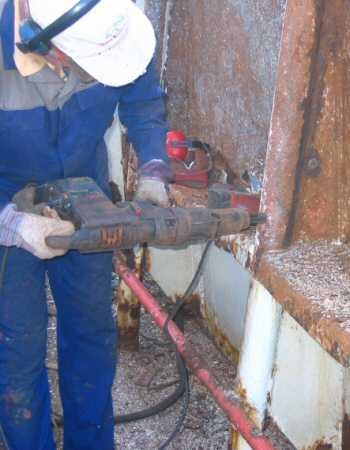 Once this is done, the only way to get on and off the ship is to climb the scaffold tower or ladder. Hard at work..... This area was painted in 2005 with the aid of the cherry picker, long before the scaffold tower had come under our ownership. 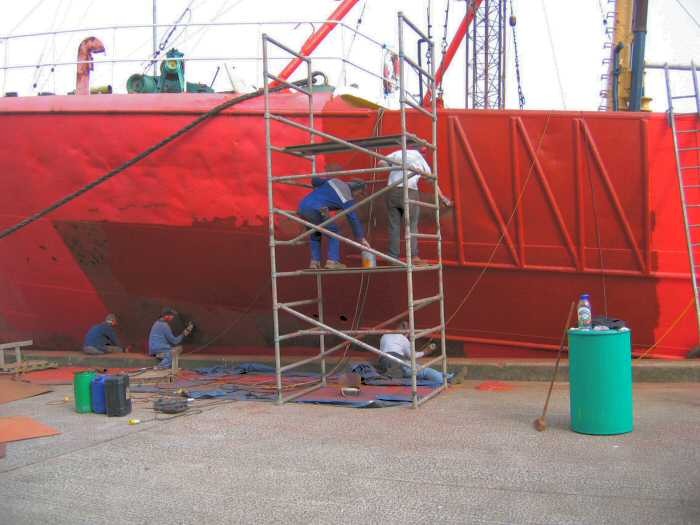 At that time we had simply rollered fresh paint onto the bows as we could not manoeuvre the ship into this position in berth 12, nor could we chip and grind from the cherry picker. 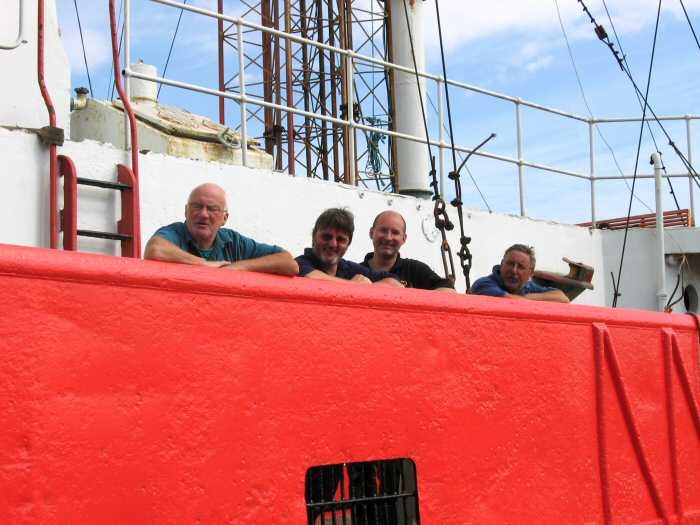 Of course, had we known in 2005 that we would still be in the dock two years later, and have ths access to the bows, we could have saved the hassle and expense of using the cherry picker. Oh well, hindsight is so wonderful. Taking a break - Tommy, John, Peter, Phil. 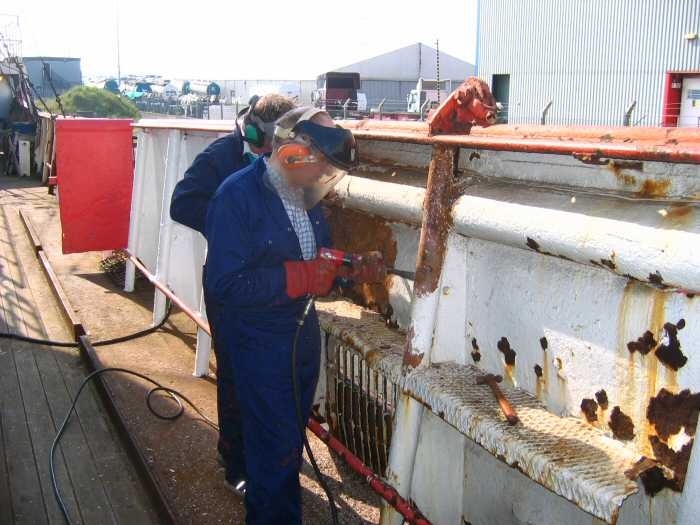 Whilst work goes on to the side of the hull, Lee works on repainting the logo on the ships super structure. The lower area of the side has already been cleaned up and repainted in white, we are now working on the upper areas. Or is this all in preparation of a new station, "Radio Carol"? And there's always the side panels on the inside of the hull to be painted! There are 88 of these panels in total, which, if you allow a days work to strip, prime and re-paint each one, is 3 months non-stop work just to repaint these.